I doodle! I love to scribble little designs in notebooks, on post-its, even grocery lists. One of my favorite things is buy packages of colored pens and I’ll write in different colors. I don’t do this with any design, more to differentiate between thought processes. If I’m taking notes I change colors every time I start reading a new book. As a textile artist I make marks whenever I create. I make marks with my sewing machine and by hand, each time the mark is intentional. I work with a heightened level of consciousness. When making marks I feel the life force course through my veins affirming life! How important is mark making? 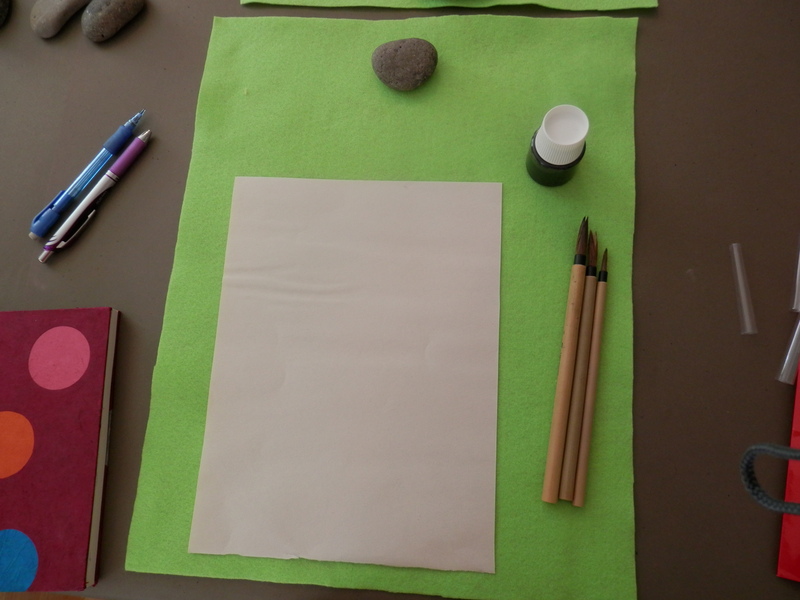 According to Anne Lamott, noted author and speaker, mark making is critical for self-expression. It is the root of our message, and provides us with a way to pray without speaking. As an author, Lamott’s recommendation is that you write a sentence every day. It’s this level of commitment and continuity that will expand your world. It doesn’t matter what your medium is, making a mark on a daily basis is important for your health and well being. One of the things about mark making is that it’s like a snowball rolling down a hill. The more you make your mark, the more you’ll want to make your mark. You’ll find that the more you engage in mark making, the more expressive each one becomes. You’ll see a story taking form; your story! It is the incentive we all need to continue on our journey to ultimate self-expression. The marks we make eventually get left behind as evidence of our body, mind, and spirit and its impact on the world. The mark is like those doing genealogy accept that the family tree is really your tree of life. It represents all your experiences, wisdom, and philosophies. Don’t be afraid to make your mark on the world. We need what you have to offer to heal our souls and the Universe! I’m on a journey to expand my artistic endeavors. It’s not that I’m looking to change mediums, but I am looking to expand ways of telling my story. I’m looking for methods and techniques that will give me the tools to create more layered works of textile art. 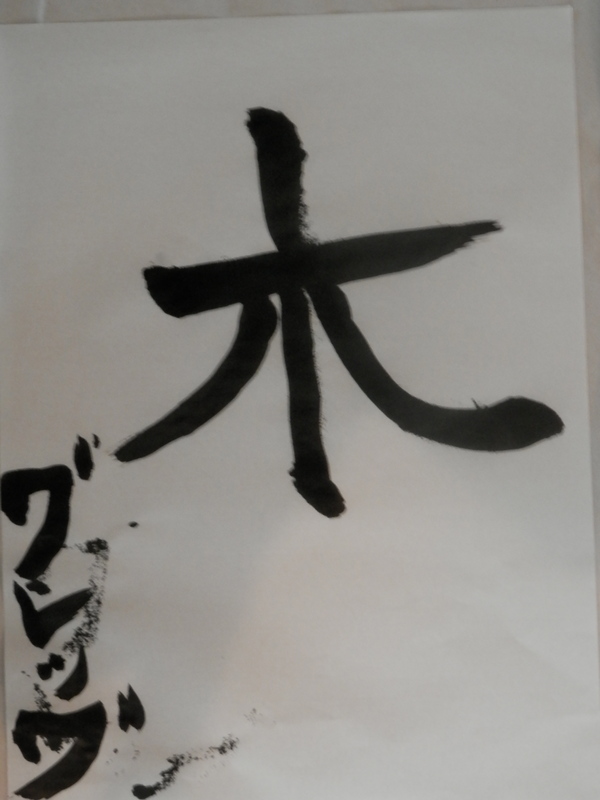 This past weekend I took a Japanese calligraphy class. I’ve always been intrigued by Asian culture. I find the Asian culture graceful, delicate (that I’m not), and elegant. The idea of taking a calligraphy class is focused on writing. It’s a way to connote meaning. When most think of calligraphy they think of the writing they see on a wedding invitation. I wanted something more symbolic and since Japanese is not my native tongue; it made sense that I would be drawn to Japanese calligraphy. The class started and the teacher puts up on the board the first character we were going to learn. There is an angle in the brush stroke that I found difficult. Why did I find it difficult? 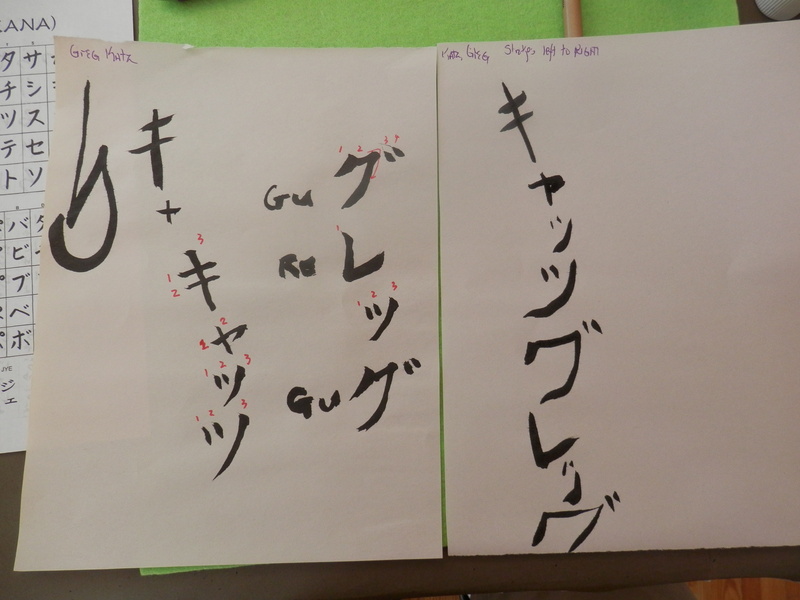 Well as it turns out, Japanese calligraphy was not created with a left-handed person in mind. It didn’t matter how I twisted and turned I wasn’t getting the correct angle. The teacher asked me a question that I hadn’t expected. She said, “Do you think you could hold the brush in your right hand?” I really am not ambidextrous. I had a moment of anxiety, and then decided what have I got to lose? The rest of the class I used my right hand to learn the brush strokes. Why did I do this? I did it for love. I did it because if I’m going to learn something new I want to give myself every advantage to succeed. It’s not as if I was engaging in neurosurgery. I was learning calligraphy. It was awkward. I was asking my right hand to engage in activities I never thought possible. I was actually creating the correct angles in the brush strokes with my right hand. Venture out. Do something that may be a bit uncomfortable. Engage in a process that stretches you because that’s the healing part of art. Give yourself every opportunity to engage in ultimate self-expression. Just remember, you’re doing it for love. Denver is an art rich city. The number of art districts, galleries, and art museums is astounding for a second tier city. The art community is quite collaborative and is represented by the month long, city wide commitment to printmaking. Galleries and the city government have devoted programming, exhibits, and tributes to printmaking. Last night I attended a panel discussion about printmaking. The panel discussed the intricacies and processes related to printmaking. The artists made it quite clear that printmaking is an intensely elaborate art process. Experimentation is prevalent in the printmaking community. The artists discussed their mark making process and how it results in the final piece of art. One of the panel members, Michael Chavez, the director of public art for the city of Denver, made a statement about printmaking is the process of making an image and transferring it to another surface. When I heard this simple idea I began thinking about the impact art has on our lives. What happens when we hear a song, read a poem, or view a work of visual art, don’t we have an experience? Isn’t that taking an image/experience and transferring it to our hearts and souls? I may be stretching the idea a bit, but printmaking/mark making is about what’s left behind. Isn’t it possible to create something and have the image or experience transfer to our being? What happens when we walk away from a work of art that we find moving? Don’t these works of art (all mediums) leave an impression on us? Isn’t it an impression that we can relate back to over and over as part of our soul? There are so many ways that we’re able to make marks. We are capable of leaving traces of meaning behind by creating art. What marks do you make and how does these marks represent you? How do they promote a sense of meaning making in your life? How does this meaning strengthen your soul energy? I’d love to hear your experience! Feel free to leave a comment in the space below.